How about this bad boy! 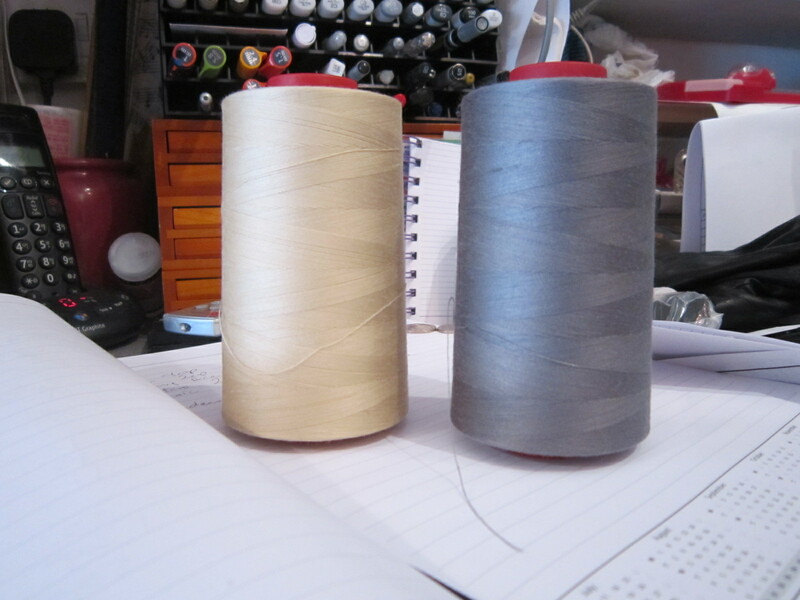 I am not quite sure which is more scary – opening a new reel of 5000 Moon thread – or realising that the last one did not seem to last all that long considering how big the reel is. I tend to do all the inside and under stitching ion either of these 2 basic colours – and only match the pattern fabric when I am doing top stitching. I have found that it cuts down on the quantity of threads you get through – and helps me keep them neat and tidy. – and I am going to break into these bad boys!